Walk inside and the grandeur continues. A large entrance hall greets you. During this Christmas period this is home to a 20 ft tree decorated in gold and red. Continuing through towards the restaurant you pass the front desk, the Rivoli Bar, and the tea rooms. Finally you wait to be called into the restaurant in a sumptuous hallway where you can order a cocktail while you wait. Live at the Ritz is an evening of fine dining and entertainment held every weekend at the Ritz Restaurant. There is a set menu or you can dine à la carte with an additional charge to cover the cost of the band and dancers. You can book a time-slot that suits you but by arriving early you may be fortunate enough to get a seat at the edge of the dance floor with a good view of the band. Once the waiter and sommelier have taken your food and wine orders respectively you get an opportunity to truly soak in the extravagant room in which you are now sat. The high, ornate ceiling might feel opulent but the attentiveness of the staff and the small number of tables helps the room still feel intimate. As a Michelin starred restaurant the dishes are small but full of exceptional flavours. They are brought out slowly over the course of your stay so that you are constantly delighted by new tastes. 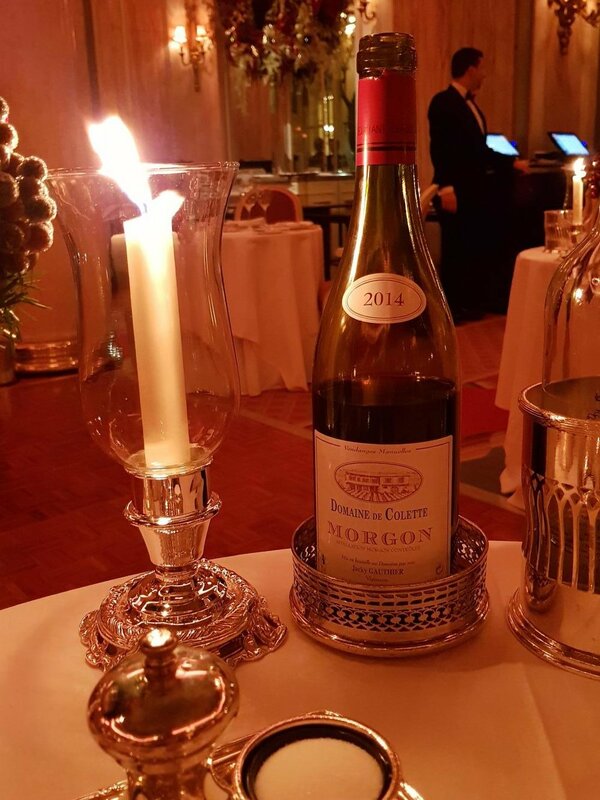 The sommeliers ensure your glass is full while the waiters make sure that there is a plentiful supply of bread and butter so you never want for anything. Despite the small dishes I find it is hard to end the evening without feeling full. All of the dishes I tried were exceptional and I must recommend that anyone with a taste for theatrics opt for the Crêpes Suzette. These are cooked at your table with a flash of fiery alcohol that truly livens up the dessert course. Then you have the entertainment. Around the time the starters are served the band starts up with lounge classics from the likes of Frank Sinatra and other members of the Rat Pack. If you have a break between courses you can take to the dance floor with your partner and dance until the main event. Professional dancers take to the stage and work their way through superbly choreographed numbers to classic ballroom tunes. Having a dance floor side table at this point of the proceedings is a must. This amazing entertainment tops off a stunning evening of delicious excess. This smooth, slightly sweet mixture of bourbon and port skilfully blends the two spirits. Neither the maple syrup, bitters nor lemon peel overpower the main flavour of the drink. Instead adding delightful layers of complexity that make this a drink to truly savour. If you wish to push the boat out you can order Vintage Ritz cocktails from the Rivoli bar. This menu uses forgotten spirits from the 1950s-80s to make unique cocktails with the taste of a bygone era. A list topped by a £500 Sazerac it is truly for the cocktail aficionados out there. Overall the Ritz is a delightful experience to treat yourself to. While it is expensive, I would rather save up for a single experience at the Ritz than spend the money on several lesser evenings out. I would definitely recommend it to anyone who is looking for their first fine dining experience or to celebrate a particularly special occasion.